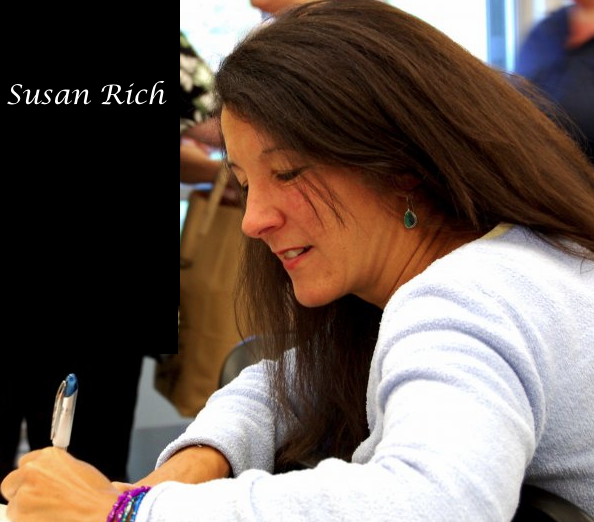 I am pleased to have Susan Rich as the featured poet in The Poet on the Poem. 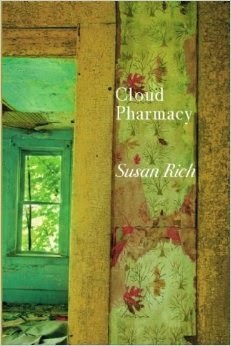 Susan Rich is the author of four collections of poetry, most recently Cloud Pharmacy. Her earlier books are The Alchemist’s Kitchen, named a finalist for the Foreword Prize and the Washington State Book Award, Cures Include Travel, and The Cartographer’s Tongue, winner of the PEN USA Award for Poetry and the Peace Corps Writers Award. Susan has received awards and fellowships from Artist Trust, CityArtists, 4Culture, The Times Literary Supplement of London, Peace Corps Writers and the Fulbright Foundation. Her poems have appeared in the Harvard Review, New England Review, and The Southern Review. She lives in Seattle and teaches at Highline Community College. Today's poem comes from Susan's new book, Cloud Pharmacy. and years unbalanced on the windowsill. The soup poured in the same yellowed cup. glamorous fragments of anonymous love. You stayed in bed, read novels, drank too much. God visited, delivered ice cream; returned your delinquent library books. to watch the living like characters on an old-fashioned TV set? remarking on the globes of lilacs. some blue grapes. This does not work. How to write your one blue life? DL: I’m intrigued by the form of your poem. You alternate 2-line and 1-line stanzas. Then you also alternate lines that are flush to the left margin with lines that are indented several spaces. How did you arrive at this form? SR: I believe this poem needs the freedom to move across the page; it needs to wander. 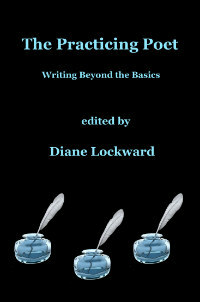 My reason for the indentations and alterations is that for me, and perhaps for my readers, the oddness of the subject—God delivering ice cream, for example—is best represented with a physical shape that quietly signals a slightly different type of poem, different let’s say, than straight narrative. Or perhaps my reason for this choice is as simple as this: when I open a journal, my eye is immediately attracted to the poems that frame white space in startling ways. In my collection, Cloud Pharmacy, I try out different forms for different types of poems. With “Blue Grapes,” which introduces the book, I wanted to explore an interior, surreal, landscape of loss. This unreliable, yet definite pattern emerged. At first, I was afraid that this wasn’t a poem. It arrived in fragments and I was unclear about how the parts would fit together. I write the first few drafts of a poem in red notebooks with graph paper. My process is often very messy—this form was my way of trying to honor the messiness of thought. DL: Punctuation seems important in this poem. You violate Richard Hugo’s prohibition against the semi-colon, you pepper the poem with em dashes, in the penultimate stanza you make reference to “commas, / and question marks,” and you include two questions. Tell us your thoughts about the role of punctuation in the poem. SR: When I was in elementary school in Brookline, Massachusetts, in the late 1960’s, there was little emphasis placed on correct punctuation; instead, the teachers encouraged full expression. Students chose which books we wanted to read for our curriculum and created our own poetry anthologies. Fortunately or unfortunately, this means that since I did not learn the hard and fast rules of punctuation when I was young, I sometimes get into trouble when I am writing. It also means my ideas on punctuation remain fluid. And yes, I do have a great fondness for the em dash. I’m amazed that it isn’t used more in poetry. Punctuation, like poetry, remains a bit like magic to me. So often poets seem to let go of punctuation in their poems. I prefer to use different punctuation marks for my own strange purposes. I recall Denise Levertov’s strict guidelines for how long to pause after a comma and how long to stop at the end of a line. Many of Levertov's poems were set to music, yet she was never satisfied with the scores; they didn't equate with the music she heard in her head. I offer this by way of explanation. I want to use punctuation to score the poems, to make them equate with the music inside my head. DL: There’s a surreal element in the poem. You give us “years unbalanced on the windowsill,” newspapers that appeared “like oracles on your doorstep,” and a God who “visited, delivered ice cream; returned your delinquent library books.” How do you achieve these dream-like moments? How hard is it to trust them, to allow them into the poem? SR: Wow, I love this question, but I want to first turn it around. The dreamlike moments are the core of the poem; they are the force of the vision I’m trying to express. I think of Elizabeth Bishop saying that what she wants while reading a poem is “to see the mind in motion.” My mind goes to the odd and the unlikely. I’ve always been interested in the juxtaposition of the quiet of morning coffee with the news of the world. As a child the unfolding of the newspaper from itself taught me that the world was out there waiting for me to try to understand it. Now to answer your question more directly: these “dream-like” moments come easily to me; they are the way my mind works, the way I understand the world. I find no tonal separation between the line “you stayed in bed, read novels, drank too much” and the next line “God visited, delivered ice cream; returned your delinquent library books.” In fact, I do not drink alcohol, so that first line seems more preposterous to me. Poetry works as an avenue of presences, a way to live in the world that exists beyond what we can actually know. DL: The poem includes a line borrowed from poet Deborah Digges: “The dying are such acrobats.” The line appears just beyond the mid-point, but was it the impetus for the poem? Did it ever appear earlier in the poem? Talk about its influence on the poem. SR: Sometimes when I write, I find myself losing interest in a poem long before it’s done—and certainly I do abandon poems. I’m pretty ruthless when it comes to tossing out work. Other times, there’s something that I’m caught on—I’m not ready to call it quits, but I don’t know where the next handhold is hiding. I love the sense that I’m able, through my poems, to have a conversation with the poets I admire, especially those who are now deceased. Shortly before I wrote “Blue Grapes,” a friend introduced me to the work of Deborah Digges and I became immediately transfixed. 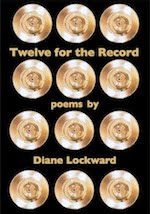 Her work gave me permission to try many different approaches to a poem all at once. I hear her voice as strongly lyrical interspersed with the vulnerability of grief. In a sense, I needed a bit of bravery to continue on with this poem and her line helped me find it. DL: Beginning with the title, “Blue Grapes,” colors play a role in the poem. There’s also a “yellowed cup,” “lilacs,” a “girl dressed in black,” and finally, the “one blue life.” The poem has the feel of a still life painting. Tell us how and why you painted in the colors. SR: I was deep into studying ekphrastic poetry when I wrote this. An emphasis on composition found its way into this piece from the work I was doing on 19th-century women photographers. Another major influence on my poetry is that I teach film studies. I’m constantly asking my students to think in images and symbols, to focus on what is seen. The irony is that I don’t see this poem as colorful or even very cinematic. And yet I can’t disagree with you. You’ve certainly provided solid evidence to prove me wrong! I think my blindness to the poem's colors has more to do with my own understanding of the poem as coming from a supremely interior world. This particular poem felt hard-won. I’m not writing about an event or an easily identifiable feeling here. Instead, I’m trying to pry open my own sense of consciousness. What does it mean to live as a “self”? I’m not one to write about my own life and this speaker is not me. However, I am very fond of ice cream. Readers, please listen to Susan reading her poem, "Blue Grapes," from Cloud Pharmacy. I've been reading Susan's collection and am beyond "Blue Grapes"; I had the same question you asked about the format. My thanks to you and Susan for a wonderful, enlightening post. Thanks, Maureen. Glad you enjoyed the post. I'm sure you'll enjoy the rest of the book. Always a privilege to learn about the inner workings of another person's mind--especially a poet's analysis of their own creative process. Thank you! Sharon--I agree. Interesting, I think, the things we see as readers that the poet was not aware of. I love a conversation that moves from the beauty of em dashes to the still life of a poem. Thanks Diane for offering such informed questions, and thanks Susan for sharing your poem's rich inner life. Thanks, Drew. I'm often intrigued by what poets do with punctuation and white space. Poem-a-Thon: Are You Up for a Challenge? A New Incarnation for "Orchids"